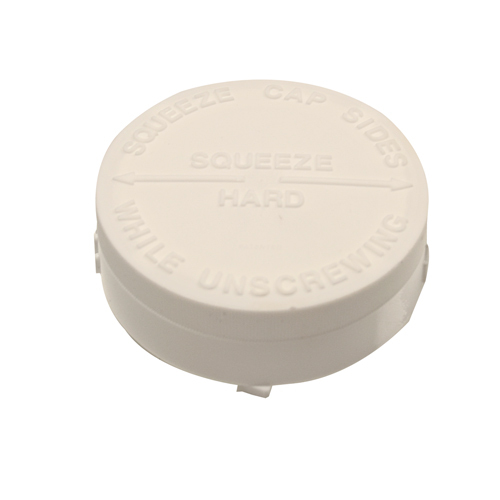 63mm Squeeze Lock CRC White Unlined Cap | U.S. Plastic Corp. 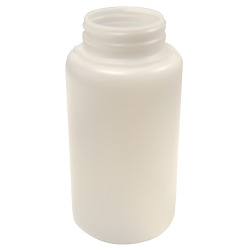 Squeeze lock caps are made of polypropylene and will keep jars contents from being accessed by children. Caps are clearly marked with instructions for removing from jar. Simply squeeze cap sides while unscrewing to remove.